Rosewater has been a traditional beauty product for centuries, and is wonderful for soothing sensitive skin, and hydrating the skin. 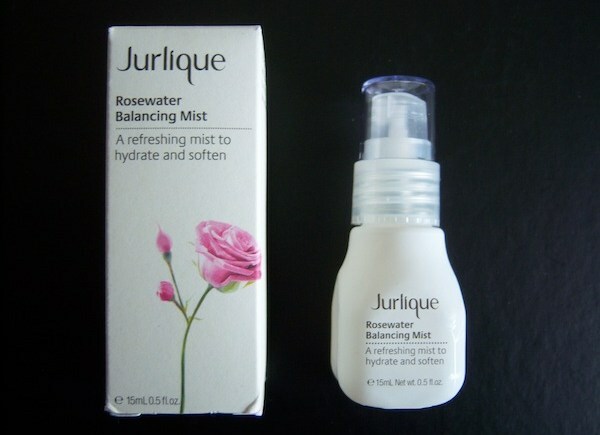 Jurlique Balancing Rose Mist is one of my favorites because it smells subtle, and also has a powerful and accurate atomizer that dispenses the rosewater quickly and easily. Many people who begin a skincare regimen tend to skip the rehydration stage, or rush it without realizing what the product does—it actually helps prevent lines, and prepares the skin for other treatments such as serums. Without it, the skin can feel tight, and moisturizers can leave a film on the face. Don’t skip this stage, especially if you have dry or dehydrated skin! This product can be used as a softening lotion, a hydrating lotion, or as toner. 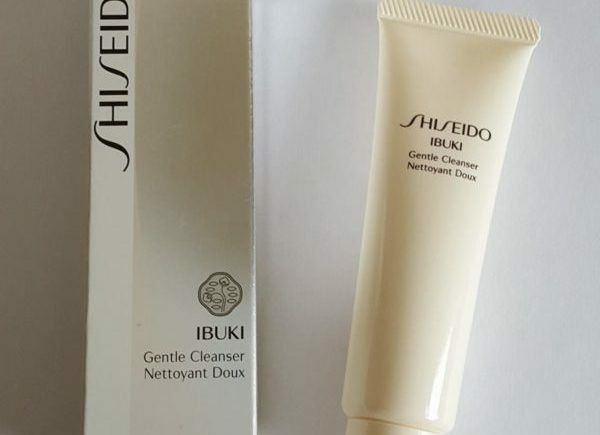 Now, toners aren’t meant to remove the last traces of a cleanser as other websites or magazines claim; if that was the case, it means that your cleanser isn’t doing its job of cleansing, hence why double cleansing in the evening is recommended (remove makeup, then cleanse). A toner or softening lotion is used to rebalance the pH in the skin after cleansing, as this then allows the skin to be more receptive to serums and moisturizers. If you try to apply them to skin that is still alkaline (nearly all cleansers are alkaline based to remove oil and dirt), then it will be less effective, and will not absorb and sit on the surface of the skin. By using a toner or softening lotion, it rehydrates the skin, and rebalances the skin to the natural acidic levels. Many people make the mistake of skipping this vital stage and complain that a serum feels greasy, or that the moisturizer doesn’t absorb. Those with oily skin may use astringent types of toners, but if you have combination skin (a t-zone) then that could dry out the parts that aren’t oily. Rosewater is suitable for all skin types, and the best way to use this product is after cleansing to spray once on each cheek, the neck, and the forehead. Then pat in and smooth the rosewater across the face and décolleté. For those who don’t like to spray directly onto the face, you can spray into the palm of the hand and then use the fingertips to pat into the skin. Alternatively you can spray onto a cotton pad and then apply to the face that way, but most of the product will be absorbed into the cotton pad and thus wasted. This is a great product for all ages and skin types, and as it’s natural with Rose Essential Oil, it’s also kind to the skin (and environment). If you are looking for a natural toner or hydrating lotion, this is one of the best on the market. For some, the scent may appear a little over powering, but this is a personal preference, and I personally find it quite calming. 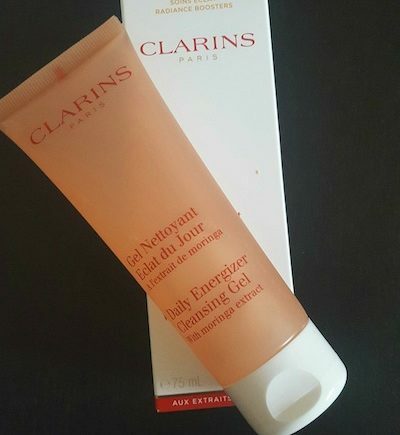 Those with oily skin may find using this product a little unusual as the mist doesn’t evaporate, but creates a fine veil of moisture across the skin. This is to hydrate it (not moisturize) and rebalance the water content in the skin. Wrinkles and lines are caused by a lack of water in the skin, thus when people rush this step in the regimen, or skip it because they feel spending money on a bottle of toner is a waste of money, they try to over moisturize to compensate, and wonder why the skin still feels tight. By using a hydrating lotion such as Jurlique Rosewater Balancing Mist, it helps prevent wrinkles and dehydration, will make the skin feel less tight after cleansing (it shouldn’t feel tight, if it does, it means your cleanser is too harsh) by rebalancing the pH to an acidic level (around 4.5-5.5), which then allows moisturizers to be absorbed more effectively (thus you end up using less and save money). Jurlique is based in Australia where they have organic farms that produce many of the natural ingredients used in the products. The product is also made in Australia and is sold worldwide in 50 ml (£18/$24 and 100 ml (£24/ $35) sprays. A limited edition of a 200 ml spray is currently available priced at £45 on the Jurlique website. 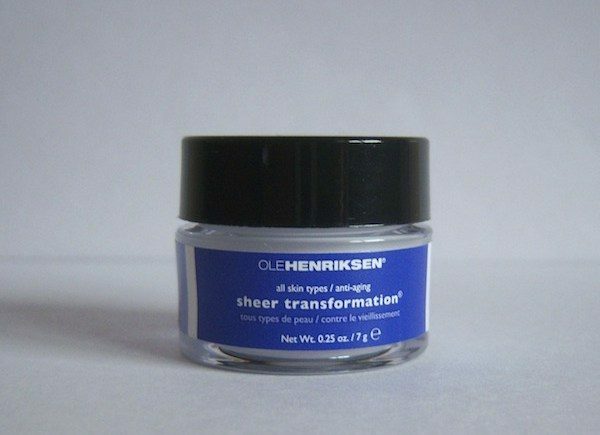 Recommended especially for those with sensitive, dry, or dehydrated skin, or those who are concerned about the prevention of fine lines and wrinkles.